Every dreamy, perfect prom has pretty much the same sequence of events: swoon-worthy asking-to-prom moment, gorgeous outfits that fit just right, romantic dance in the tender arms of your date, super fun crazy dancing with all your friends, and a bittersweet but mostly happy ending as you think about the end of high school. Usually, when we hear stories about gay couples going to prom, it’s in the context of struggle or strife with the community or school. We’re making strides towards equality, but we still have a long ways to go! That’s why this story is totally rocking our world today. 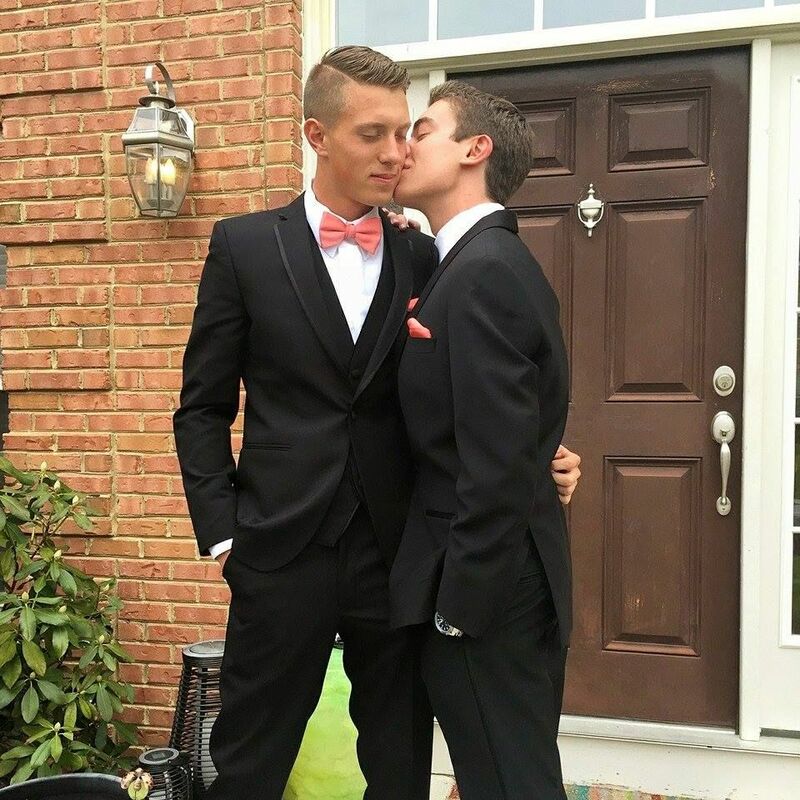 Michael Martin, a senior at Mussleman High School in Inwood, West Virginia, recently attended his senior prom with his boyfriend Logan Westrope. They’ve been dating for four months, and they had the PROM OF OUR DREAMS. First, they had a totally adorbs promposal moment: Michael visited Logan at Chik-fil-A, where Logan works, gave him a chicken sandwich, and asked, “Are you a chicken or will you go to the prom with me?” Pun-believably cute! But what songs did these super cute guys jam out to, you ask? I’ll tell you! “Stay With Me” by Sam Smith and “All of Me” by John Legend. “At the moment when the slow songs played, we would just stare into each other’s eyes and would think of how lucky we are to have each other,” Logan said. Sorry, did you hear that? That was the sound of every high school prom movie scene skittering away to hide in shame because this is so much better than ANY of them. “We didn’t hear any negative comments about Michael and I. Once we left the prom, I remember Michael saying to me in the car, ‘Logan, this is our last prom and I’m so glad I got to spend it with you.’ I couldn’t have asked for a more perfect night.” Logan and Michael, thank you for making us believe in perfection. And uh..how did you keep your hair looking so on point after a night of dancing? Michael and Logan just sound pretty awesome in general: Michael is an all-state goalie and started every year on his school’s soccer team in addition to being a star swimmer and tennis player, and Logan is going to Penn State next year to study meteorology. Power couple, am I right? Probably the coolest part about this story is just how normal it all seems. This is a story about, essentially, a non-story: two cute teens in a healthy, happy relationship went to prom together and had a great time with their friends. We are so happy that Michael and Logan rocked their prom! Hopefully the future holds many more proms for high school gay couples with just as easy, breezy experiences as theirs.